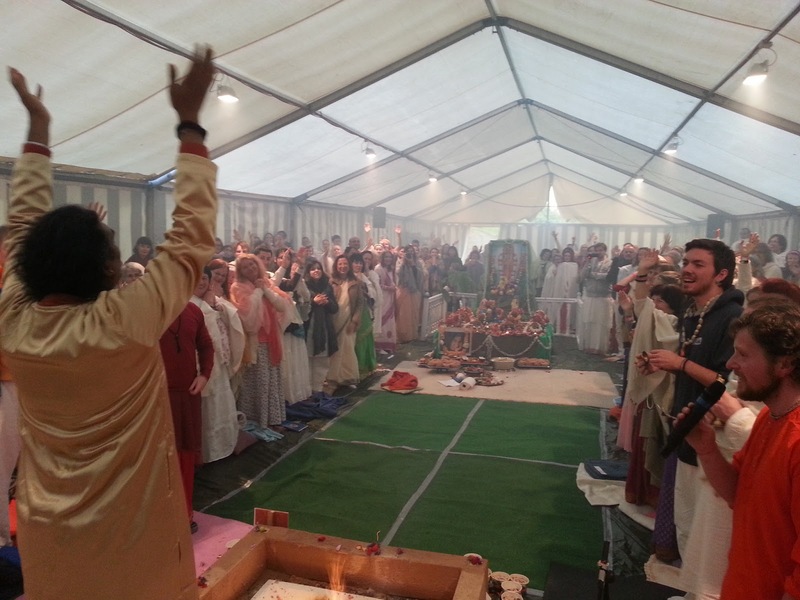 We have just finished the first puja of this year´s Bhu Devi yagna and like always it was wonderful to celebrate again in our tent. 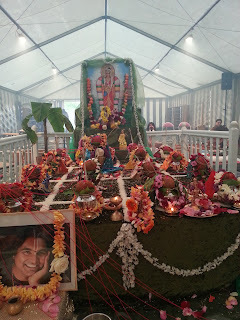 At the moment it is very cold in Springen and Guruji started by making a bit fun about the fact, that Springen is even colder than Steffenshof, the place of the first small ashram. Then He told us that the next 10 days from yesterday onwards, which was Narasimha chaturty (appearance day), will be a very auspicious time. Swami spoke also about the importance of being silent for one minute per day. Silence for world peace. He told us that in these times the mind of man is changing and if the mind is not centred on the Divine and not controlled, the negative qualities will take over. But Mother Earth needs our prayer and our positive thoughts. He spoke these following words with so much love and tenderness for Mother Earth, that it was palpable that He really knows of Her true suffering from a different perspective: "When you see a mother suffering, what do you do? You help. If you see anyone suffering you try to help. Either through prayer or through positive thoughts, you help." Swamiji is asking everybody to take this one minute of silence every day to concentrate on Mother Earth and to send her positivity. He gave assurance when he said, that when one does everything with the right intention, and one surrenders it to the Lord, everything will go smooth. And when we pray with the right intention the Divine will send our prayers to the people who are in real need. No prayer is ignored, your prayer does help, but everything has its time and we need to be patient for the right time. 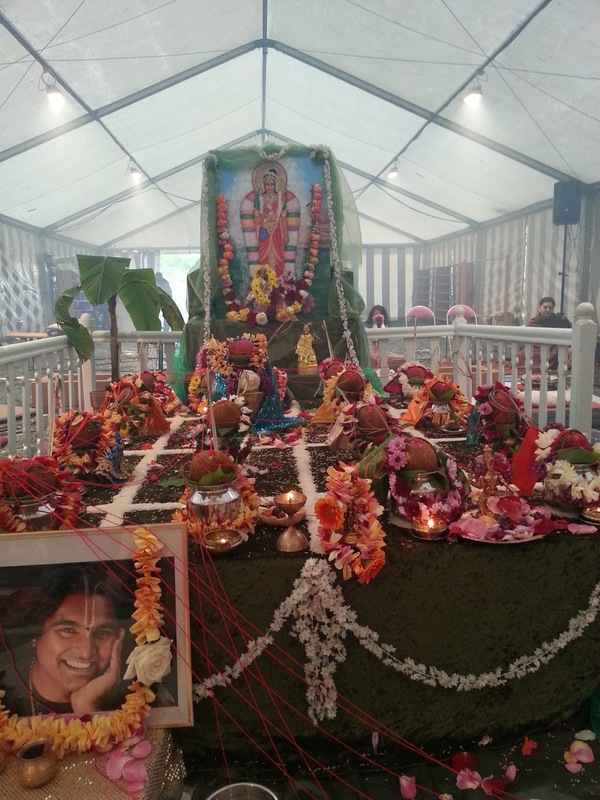 Guruji is asking all of us: "So, one minute a day, for example 9pm when your work is done, you can sit in silence. Don’t do it more than one minute, just one minute, this is very precious. Actually all minutes are precious. But what makes this minute particularly special is your intention of Love and Gratitude. Send it to Mother Earth, the world, this universe. So try it."